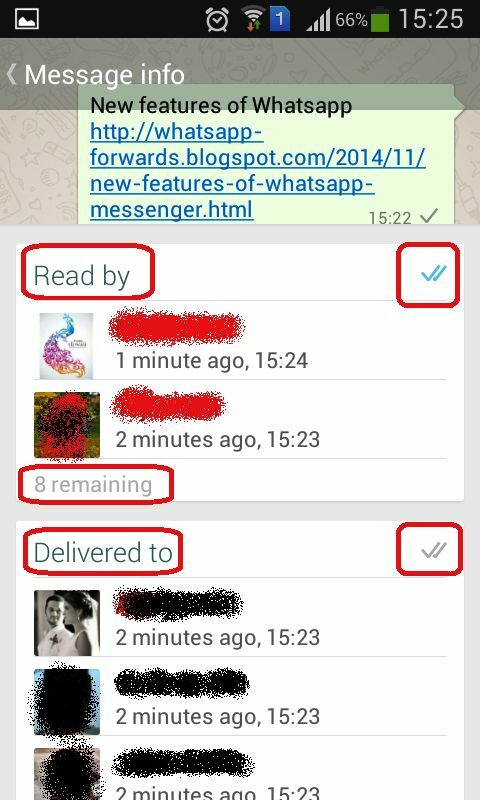 New Features of Whatsapp Messenger ! It has a new feature that shows whether your sent message has been read or not. One tick means sent, two ticks means delivered and when the two ticks turn blue it means the message is read. You will see a detailed report of that message like which members have seen and read the message and which members are still about to read them and to which members this message has been delivered.